Soon after announcing the launch details of the Samsung Gear S in the UK, the company also shed light on its availability in India. 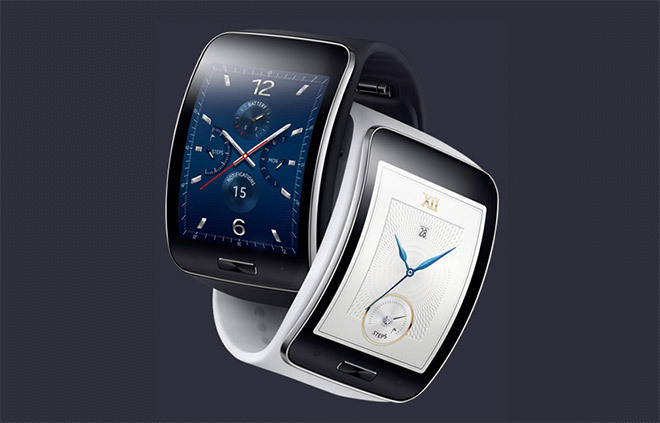 The smartwatch launches this week in India in black and white color options and will cost $470 (INR 28,900). We don’t yet know whether the watch will be available in its Swarovski edition. The IP67-certified smartwatch sports a 2″ 360 x 480 curved Super AMOLED display and features a dual-core 1GHz CPU running the Tizen-based wearable platform. It can play music to your Bluetooth headset and make calls even without one. Internal storage is 4GB and RAM is 512MB, which does the job well. The battery is 300mAh and is promised to last a full day of moderate usage. Be sure to check out our first encounter with the smartwatch at the IFA 2014 showroom floor.